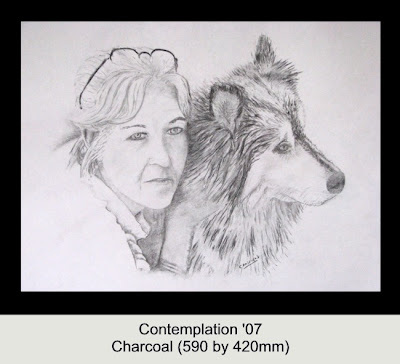 My Sister and her "child"
This was one of my first charcoals; my sister. The original photograph was taken by her partner and her expression captivated me. I hope I have done it justice.